Loosely based on a true story, the Edge of Love depicts the tumultuous relationships between four people: famous Welsh poet Dylan Thomas, his wife Caitlin, his first love Vera, and her soldier husband William. The film takes place during the London Blitz of World War II. It was directed by John Maybury from a screenplay written by Sharman MacDonald. MacDonald's daughter, Keira Knightley, stars as Vera. While working as a nightclub singer, Vera is reunited with Dylan, played by Matthew Rhys. He has a child with his spirited wife Caitlin, played by Sienna Miller, but their marriage is rocky, and they are both unfaithful. Vera's burgeoning relationship with William, played by Cillian Murphy, coincides with the growing friendship between her and Caitlin. As the story progresses, William is called away to war. The sexual tension between Vera and Dylan threatens both marriages, as well as the bond between the two women. 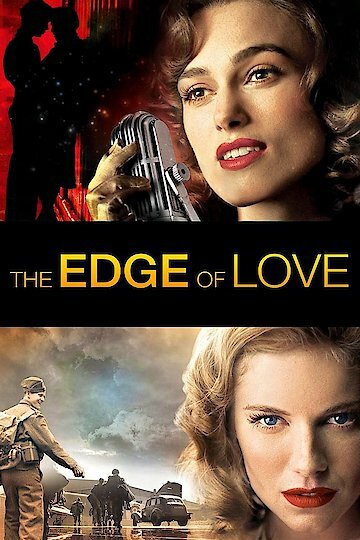 The Edge of Love explores the drama between two couples in the midst of the chaos of war.